Create, edit or convert Word documents (20+ file formats) using Aspose.Words Cloud SDK for PHP. Aspose.Words Cloud SDK for PHP is developed on top of our true REST APIs, which provide the complete freedom of platform & programming language. From architectural perspective, Aspose.Words Cloud SDK for PHP is built as a layer on the top of Aspose.Words Cloud REST API, therefore it allows a higher level of abstraction, so that you don't need to know the REST API to use this SDK. 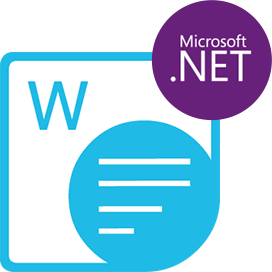 Aspose.Words Cloud SDK for PHP provides a number of features including creation, manipulation, conversion & rendering of Microsoft Word document formats. 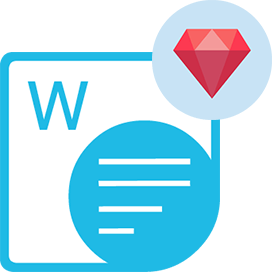 The Aspose.Words Cloud SDK for PHP supports document conversion to DOC, DOCX, XPS, TIFF, PDF, HTML, SWF, PCL, as well as it also offers the feature to convert PDF document to Word format. It also supported the capabilities to convert Word file to raster image format and during the conversion process, you can choose to render the complete document or a single page to image formats including JPEG, GIF, PNG and TIFF. During conversion to Image format, you may select to render the document content, as well as an option to render only the drawing shapes present inside the documents. If you do not want to use any of our SDKs or the required SDK is not available at the moment, you can still easily get started with Aspose.Words Cloud REST API while using your favorite language & platform. Aspose.Words Cloud SDK for PHP - supports the popular word processing formats as well as most commonly used image file formats that your business requires. An extensive support for various popular Word Document formats including DOC, DOCX, RTF, DOT, DOTX, DOTM, FlatOPC (XML), OOXML, OpenDocument 1.1 format, OTT and Word 2003 XML. Specifically the RTF specification is a set of predefined keywords which includes over 1400 keywords in the RTF 1.8 Specification and Aspose.Words Cloud SDK for PHP is capable of fully supporting (reading) the majority of these keywords. Get a quick and reliable conversion of Word documents to other leading file formats including PDF where output conforms to PDF 1.5 or PDF/A-1b specifications. Get an ability to extract Word document contents or save file contents as plain Text file. Be amazed with great fidelity of output when performing Word to EPUB conversion because the Content, formatting, images, hyperlinks and navigation will work in any EPUB compliant reader. Aspose.Words Cloud SDK for PHP allow developers to use standard or more complex mail merge operations such as inserting images or repeatable regions in reports. 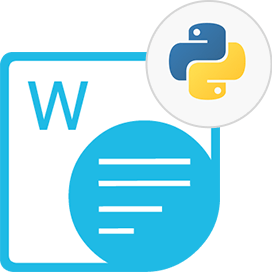 You can design reports in Microsoft Word and then allow Aspose.Words Cloud SDK for PHP to populate documents with data from XML data sources. 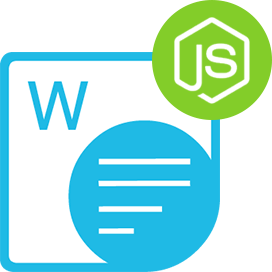 Aspose.Words Cloud SDK for PHP offers its own conversion engine and provides a unique feature to load PDF document from storage as an input and convert it to Word document. During conversion process, you can choose either of the supported format i.e. DOC/DOCX. The conversion is robust enough as it converts PDF tables and lists into native Word tables and lists. Why Aspose.Words Cloud SDK for PHP?